What is it about certain fictional cops and medics that we can’t know their first name? Quincy and Columbo never revealed them, while Endeavour was only unleashed as Morse’s given forename in book number 12. And here we have Quirke, the latest gruffly avuncular character to be made flesh by Gabriel Byrne, in a mini-series of three feature-length episodes adapted from the books by John Banville writing under the pen-name of Benjamin Black. This withholding of a person’s whole title is probably a metaphor for the lack of a fully-rounded identity and the intrigue that feeds from this gap. At times, the mystery of Quirke’s existence is the only thing that keeps interest up in this trio of largely humdrum investigations, though the biggest secret is revealed halfway through the opener, ‘Christine Falls’. Set in mid-1950s Dublin, Quirke is a widowed pathologist whose atheistic lifestyle is strongly disapproved of by his fellow medic brother, Malachy (Nick Dunning) while their Judge father (Michael Gambon) seems more fond of the loose cannon son than his upstanding god-fearing one (some suspension of disbelief is required here given that there’s only ten years between Gambon and Byrne in real life). At the heart of Quirke’s problems is a fierce drink problem and just in case you aren’t convinced of it, fuzzily-filmed scenes of him necking double whiskeys take up around six full minutes across the trilogy. Complicated relations between Quirke and his sister-in-law (Geraldine Somerville) and niece Phoebe (Aisling Franciosi) only serve to mess up his mashed mind further. All this family intrigue does mercifully take the attention away from the less than riveting crime stories. It takes quite an effort to make child trafficking and back-street abortions tedious television, but homburg hats off to the makers for achieving it. 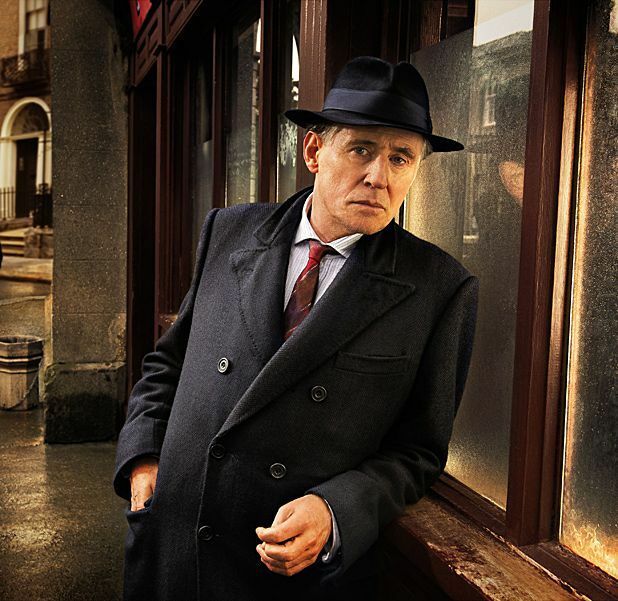 Quirke starts on BBC One, Sunday 25 May, 9pm.